During the past couple of weeks, Warner Home Video has released two "new" Peanuts DVDs, and announced a third for January 2014. Unfortunately, there's nothing actually new about the DVDs other than their titles; all the shows on all the discs have already been released on other, still available Warner DVDs. If you have all those previous DVD releases, you don't need this repackaging. Is This Goodbye, Charlie Brown? It also includes the bonus feature "Sibling Rivalry: Growing Up Van Pelt" that originally appeared on the I Want a Dog For Christmas, Charlie Brown Deluxe Edition DVD. The best thing that can be said about this repackaging is that at a list price of $19.98, it's cheaper than buying the three DVDs separately. Also on October 1, 2013, Warner Home Video released a DVD titled A Charlie Brown Thanksgiving: 40th Anniversary Deluxe Edition DVD. Don't be fooled: this is just a renaming of the previously released A Charlie Brown Thanksgiving Deluxe Edition DVD. There's absolutely nothing new other than the title. 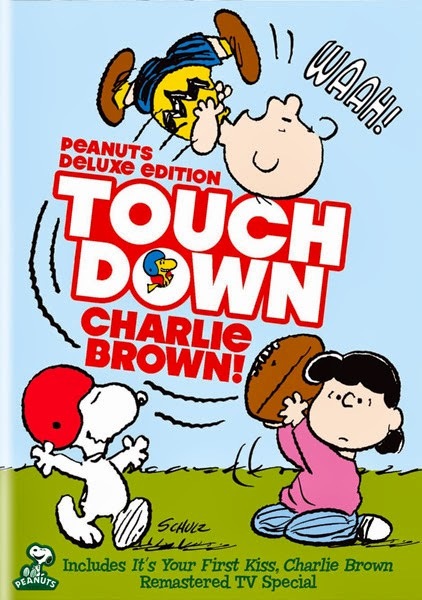 Finally, Warner has announced a "new" Peanuts DVD release titled Touchdown, Charlie Brown!, due out January 21, 2014. It's Your First Kiss, Charlie Brown was previously released on the Be My Valentine, Charlie Brown Deluxe Edition DVD; the three episodes of The Charlie Brown and Snoopy Show were previously released on The Charlie Brown and Snoopy Show: The Complete Series DVD set. And while Warner has labelled Touchdown, Charlie Brown! a "Peanuts Deluxe Edition DVD," unlike all previous Peanuts Deluxe Edition DVDs, there apparently aren't any special or bonus features on this disc. Together with the fact that there aren't even any new-to-DVD shows on the DVD, calling it a deluxe edition is a serious case of title inflation. The Touchdown, Charlie Brown! DVD will have a list price of $19.98. But really, if you're interested in any of the shows on this DVD collection, I recommend that you avoid this disc and get one of the other, earlier, more complete DVD releases containing the shows instead. It continues to be disappointing that instead of releasing the several Peanuts specials that have never been released on DVD in the US, Warner Home Video is recycling previously released shows under new titles that seem designed to confuse the customer. Yeah, I am disappointed here. There really are several episodes I would like to have on dvd that continue to go unreleased. I already have all of these. Would you happen to know if there is a relatively recent DVD release in Canada that has the Thanksgiving special included on it? I've been looking around and can't seem to find anything. I do not believe there have been many (if any) Canadian-specific Peanuts DVD releases, but I haven't looked into it extensively. However, any DVD from the United States will play in Canadian DVD players. 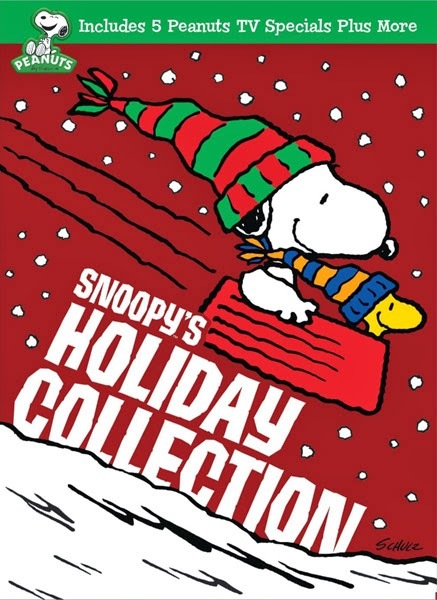 "A Charlie Brown Thanksgiving" is available on its own DVD, or as part of the "Peanuts Holiday Collection" set, or the "Peanuts 1970's Collection, Volume 1" set. All of those DVDs are available through amazon.ca, or likely other Canadian on-line retailers. I have no advice on where to look to buy it in a store; many stores are not stocking may DVDs these days, although if you look in November and December, you might find stores selling the "Peanuts Holiday Collection." Or, any of the DVDs can also be ordered from the US Amazon as well. Put a beagle on your car!